Description: Join us to hear how two refugees endured danger, violence, and adversity to seek refuge in Omaha with the support of Lutheran Family Services of Nebraska. In "I let them in. 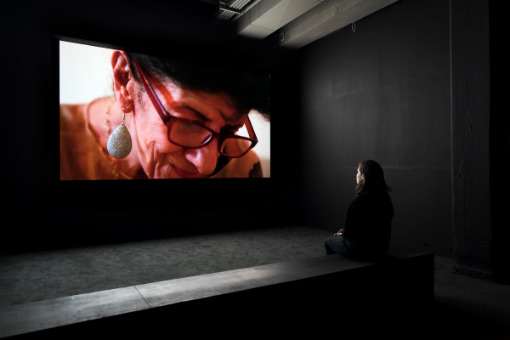 Conditional Hospitality and The Stranger," the works present and examine storytelling as ways of dealing with hardships and traumatic events. The power of a story and its delivery can often compel one to listen and possibly even garner an affective response leading to change. Amidst rising xenophobia, the guest speakers recount the journeys from their homelands in the hopes of preventing other’s suffering in the future. In association with this exhibition, Bemis Center is collaborating with Lutheran Family Services of Nebraska (LFS). LFS is the largest refugee resettlement program in Nebraska and their programs provide high-quality direct support services for refugees, immigrants, asylees and victims of international human trafficking.